Spring break is a welcome change after a lengthy winter without the sunny summer heat. School weeks prior to these fun-filled student trips are filled with constant planning and savings to afford the typical Cabo excursion. But why not change it up this year? College is a time to be adventurous. Go out and explore instead of going on another basic spring break trip. If you’re a fan of the coast, take your way up the California Coast this spring and travel on the Pacific Coast Highway. You can start from sunny San Diego and make your way up to San Francisco. The coastal regions of California allow you to still enjoy everyone’s favorite part of spring break—the beach—but the best part of this trip is the change of scenery. Never been camping before? There’s nothing better than enjoying the outdoors and sleeping under the stars. A longer Cali trip through the national forests is for those who pride themselves on being outdoorsy and athletic. Take your time and enjoy the wildlife around you, go camping, hike and see sights that will take your breath away. From Death Valley to Yosemite to Sequoia and more, this excursion’s an adventure all its own. These major national forests are full of wildlife and beautiful views to take photos of and experience. You can camp outdoors, in your car or even in a small cabin with friends that can be rented. There’s nothing like sitting by a fire pit with friends and attempting to cook outdoors, ultimately settling on s’mores. Although Seattle is a little on the chillier side, there’s beauty in every gust of wind. 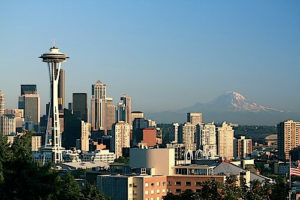 With a cheap $200 round-trip flight, a coat, a pair of boots and a scarf you can grab a small bag, a few friends and make your way to “Twilight-ville.” Seattle is a college town, with the University of Washington only 20 minutes away, and public transportation makes seeing the city’s famous sights easy. There are many touristy spots to hit, such as the well-known space needle, and yo can take a small bay cruise to see the outside of Bill Gates’s house. For the 21 and over crowd there’s a significant amount of nightlife to keep you occupied after a day of exploring. New York is more than just The Big Apple. 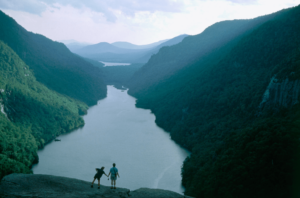 The Adirondack region in upstate New York is a fantastic destination. Activities include balloon rides, kayaking and even a bit of fishing. And if you are looking to hit an adrenaline rush there are some fantastic white-water rafting opportunities. A trip to the Grand Canyon is mainly for the experience and leisure rather than the constant hopping from one place to the next that most spring breaks trips are. Hiking up the Grand Canyon is said to be one of the best experiences one could have. Want a different view? Make your way to the stone watchtower. 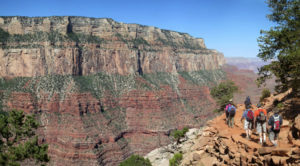 Walking the “Trail of Time” gives you the inside scoop (literally) on the geologic history of the Grand Canyon layer by layer. Hiking may be what people come for but the Grand Canyon offers so much more than that. Both white-water and smooth-water rafting are available and come highly recommended. 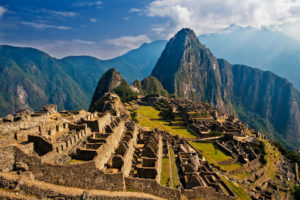 Go try some amazing food and hike one of the Seven Natural Wonders of the Word found in Peru, Machu Pichu. Peru has fantastic archaeological sites, pyramids and did I say food already? The Inca Trail, which is a four-day hike, is a must-hit adventure spot on your journey. It has thousands of possible trails you can take, so make sure you plan ahead. Take the time to enjoy the culture, along with a few famous Peruvian dishes (Lomo Saltado, Ceviche, Cuy, Causa and Aji de Gallina). Not only will you have wonderful stories to tell but you can also let your Spanish professor know you were practicing IRL. Why not donate your time to people in need across the globe? There are multiple trips that you can take to developing countries and help build schools, teach children or even help the local environment. 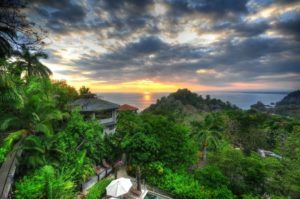 Countries like Costa Rica hold amazing opportunities with volunteer projects to take part in. Not only will you be happy you shared your time with people in need, but you will be able to experience a country in a different way than being a simple tourist. Green, green and more green, Colorado is the place to be for exceptional nature hikes and attractions. One popular site is the Flatirons, beautifully geometric rock formations. You may not be able to physically hike to the very top but you won’t be disappointed with the view. If you want a bit more of an adventure, try hiking up the Eldorado Canyon or even up to Flagstaff Mountain. Afterwards take a break at the Pearl Street Mall, or, as locals call it, Downtown Boulder. 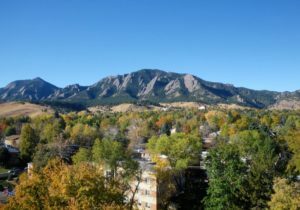 This little strip of history consists of a mixture of local businesses, but if you stay out a bit later, Boulder’s nightlife strikes the streets, letting you still get turnt over spring break. 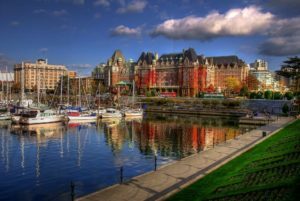 Only a short flight up north away, Victoria, British Columbia, is filled to the brim with history and interesting attractions to fill your break. Craigdarroch Castle, a prominent Scottish castle, is an important and beautiful landmark in Victoria. Many films were shot on its grounds and inside the castle like War of the Worlds, The Picture of Dorian Gray and Little Women. To make the trip even weirder visit Miniature world, where books of history, fiction and fantasy are brought to life—and you’re the giant walking through them all. Good ol’ Arizona—home to heat and more heat. But don’t let that deter you from visiting. Filled with many different parks and canyons, your hiking desires will certainly be satisfied. 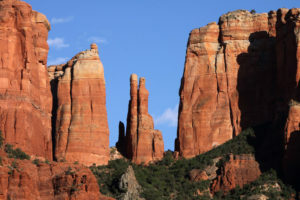 From Oak Creek Canyon to Red Rock State Park and even to Slide Rock State Park, these hikes are not to be missed out on. After all of that hiking, why not some more? A must-hit trail would be Devil’s bridge, a hike that will have you not only huffing and puffing from the exercise, but as well as from the anxiety of crossing the insanely high natural rock formation bridges. Arizona isn’t just for hikers; you can go take and ATV off-road tours, stargaze and have a nature-filled picnic at the Crescent moon picnic site. 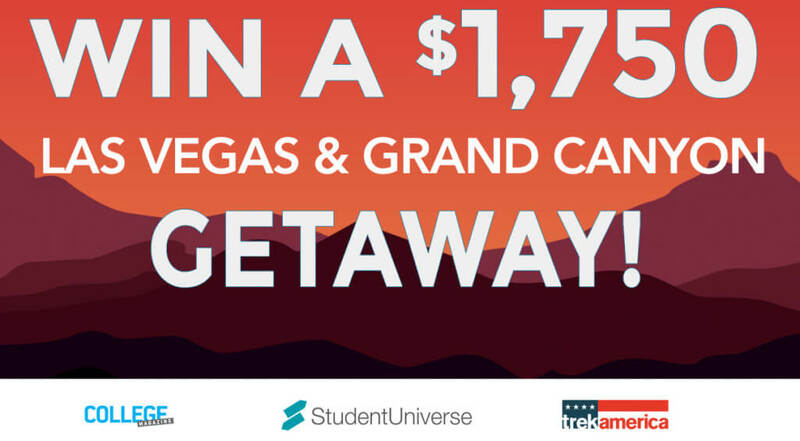 Ready to relax like a boss after midterms? Make your way to the Great Lakes. Check out Adventure Park in Frankenmuth, Michigan, filled with fun obstacles to do up in the trees. Another great spot to go for a walk is Dow Gardens, which has a maze and a butterfly conservatory. Want to stay by the water? 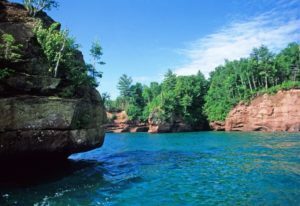 You can kayak, sail or even go fishing in the great lakes. They’re called “great” for a reason. Nikki is a Senior at the University of San Diego and is a double-major in International Business and Marketing with a minor in English. She loves listening to music, reading and people watching. Her love for traveling drives her dream to someday live in the UK and see the world. Is Your Best Friend’s Ex Really Off Limits?